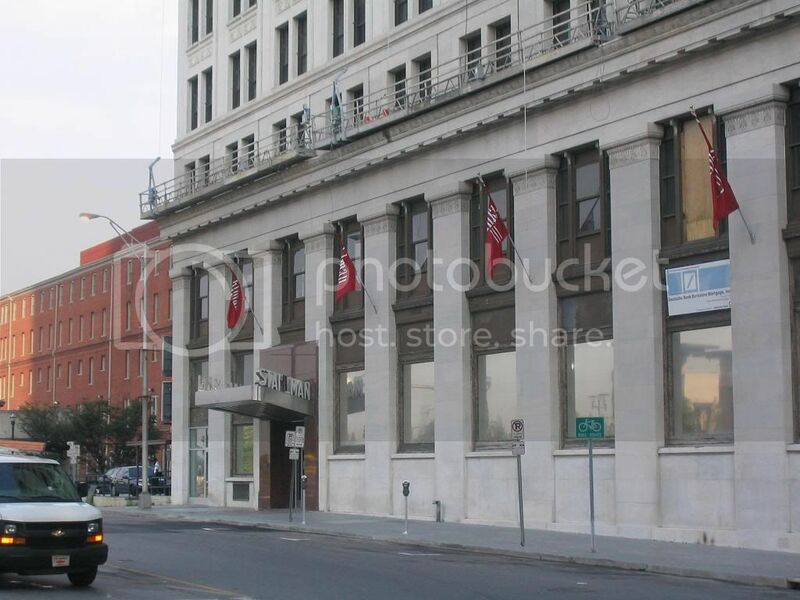 I recently parked my truck in front of the old Stahlman Building downtown. As I walked and looked around, I realized what the near future holds for this area near downtown Nashville's heart. I couldn't be more pleased. Here's what I saw as I walked the small area of 3rd & Union to Church, up to 4th and back. There are other projects nearby, which I'll post during a future moment of inspiration. 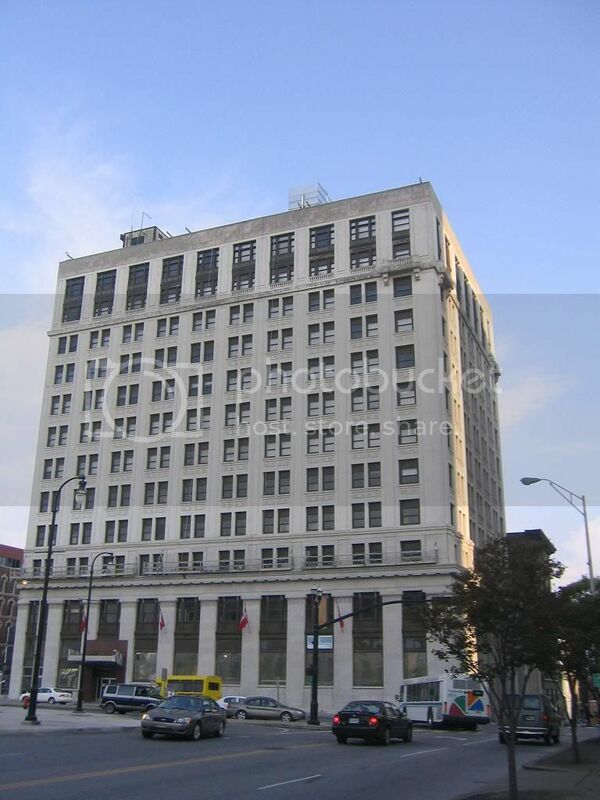 The Stahlman building, former office, currently being converted into affordable apartments. It's the building on the left of the photo. Across the street from the front entrance is the Davidson County Courthouse. A $40 million project is underway to replace what was once a surface parking lot with a 1200 space underground facility topped with a new park/plaza/public space complete with sculpture, fountains, overlooks at the riverfront and connected to the Cumberland Greeway system. There's currently a very large hole in front of this building. The American Trust building. Visible in the first pic of the Stahlman. Across 3rd Avenue. Walking half block to 3rd, these are your neighbors: The large columned structure (center) is the former Atlanta Federal Reserve Building. A local family has recently purchased this and is spending millions to convert the structure into a 20,000 sq ft private residence. I've been inside...wow about says it all. Thought I'd look up. Nice. Across the street, on 3rd, and next door to the American Trust is The Phoenix. A new condo conversion underway now. At the intersection of 3rd and Church, is this old building, recently purchased to be converted into condos. I'm really glad about this old thing...so pitiful for so long, but so unique and stately. She shall live now. The adjoining building to ol' Miss Pitiful is The Exchange Building and its older adjoining structure. Currently under construction. The front windows have been fitted with large setbacks for open balconies that won't stick out over the sidewalk. A new floor is being added on top, but I'm not sure what that's all about. We'll see. Anyway, cool stuff. Have been in here, too. Then half a block more past the Marriot is the Viridian site, squeezed between the L&C and this pretty little thing, the Cohen Building. Next to that is the Presbyterian Church, one of the country's outstanding examples of Egyptian Revival. This church served as a Union hospital during the Civil War. Special motion devices have been installed in it and the Cohen Building to make sure the Viridian construction doesn't damage these important buildings. The Viridian developers have done this. Around the corner is the Utopia Hotel, a turn of the century saloon and hotel that is stunning. It's preselling condos now. It's a looker. Future photo shoot. If you've gotten this far, thanks, I do appreciate it. A short addendum: Just beyond the old church is the site of the proposed 55-story Signature Tower (Lucien Lagrane, architect), beyond that is the 23-story Cumberland apartments, the Nashville Public Libary (Robert A.M. Stern, architect) and the site of the 400,000+ sq ft Federal Courthouse (Michael Graves, architect). Church Street itself and the adjoining Capitol Boulevard are currently undergoing a project to eliminate the 70s-style serpentine, one-way street into viable, landscaped, pedestrian friendly two-way thoroughfares. Beautiful! I really must visit Nashville! Thanks UP. It's a good place to explore, its past, its present and I'm hoping its future is everything we're being promised. It's a great time to live here, or visit. We love company, come on up. I go to Nashville every once in a while and it is pretty cool city, Did you know the current population is 1.3 million and by 2020-2025 it will have 2.1 million. Good news for the American Trust Building. This came out in today's (12-09) CityPaper. Great news for a great old building. The long vacant American Trust Building is about to be returned to life. Nashville developer Tony Giarratana committed Wednesday to complete his purchase of the historic building and will convert it into what will be, at 15 stories, the city's tallest loft condominium, according to Todd Squier, who is brokering the sale. Located at 235 Third Ave. N. near Union Street, the building and land were valued by a Metro appraisal in 2003 at about $1.1 million. Giarratana will buy the building from Lineberry Properties Inc. and will close on the deal within 90 days, Squier said. Yeah, Marc, we really lost more to urban renewal than I'd like to admit, but cities evolve. In looking at some of the oldest photographs of Nashville, it seems that some of the buildings we lament over losing actually replaced even older buildings with just as much style and architectural importance. I guess in a few decades, we'll be tearing down our oldest "modern" towers to make way for even more "new and better." The cycle will continue. I'm about to get off my box about this little "neighborhood" but with todays announcement of condos, I want to add a few more shots of the American Trust and its connected neighbor, Union Plaza (which already has apts on the top floors). 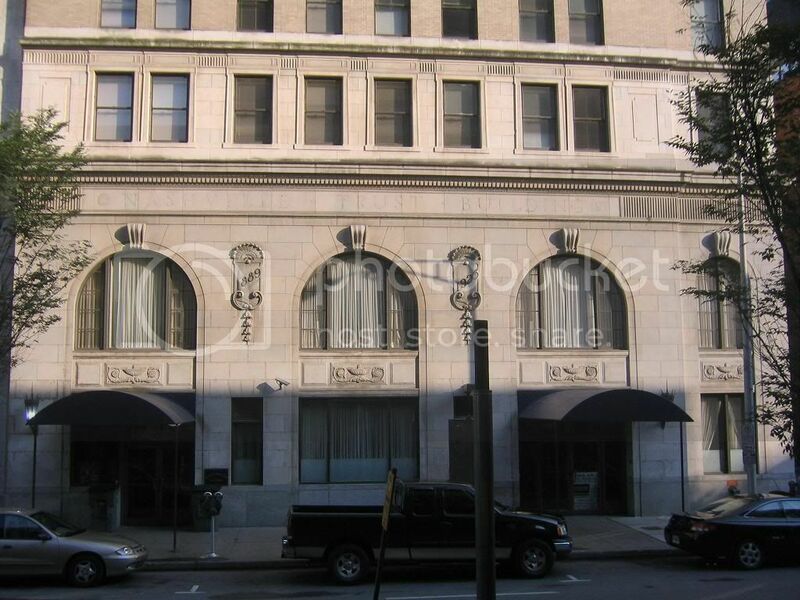 I've included a picture of an old bank in Atlanta (I don't know its fate), but the similarity with the American Trust is quite striking. Does this building still exist in Atlanta? Thanks for the photo tour. I just now noticed this thread, its been so crazy at work I've not been foruming as much. These are the parts of Nashville I like and positive stories I like to hear. Wow, there's a lot more to Church Street than I thought. It really is becoming the center of the downtown residential scene. And the Signature Tower will look stunning there, as it will be centrally located in the skyline. And only a half block from the Viridian, it should add lots of previously lost activity on poor ol' Church Street. It was announced today that final plans are drawn for the building I referred to as Miss Pitiful. She's getting a $5 million re-do into 17 loft condominiums. That takes care of that entire block. Miss Pitiful is older than I thought she was. She dates back to the 1850s, nice, very nice that she survived. I know this is a very old thread, but the Stahlman is now open for residents. Great news. It is an oldie, but it sure shows us what can happen in 18 months. Just think about the next 18. Apartments??? Now thats what i'm talking about! Downtown, here I come. Great news. It's wonderful to see a beautiful Art Deco structure reborn into a downtown residences. Oh my... how much better that is to see the building razed and turned into a parking lot! Just might be my favorite building in Nashville. I wish the rest of the "Wall street of the South" was still there. Wow, great old post dave. It's interesting to go back and look at some of your predictions. 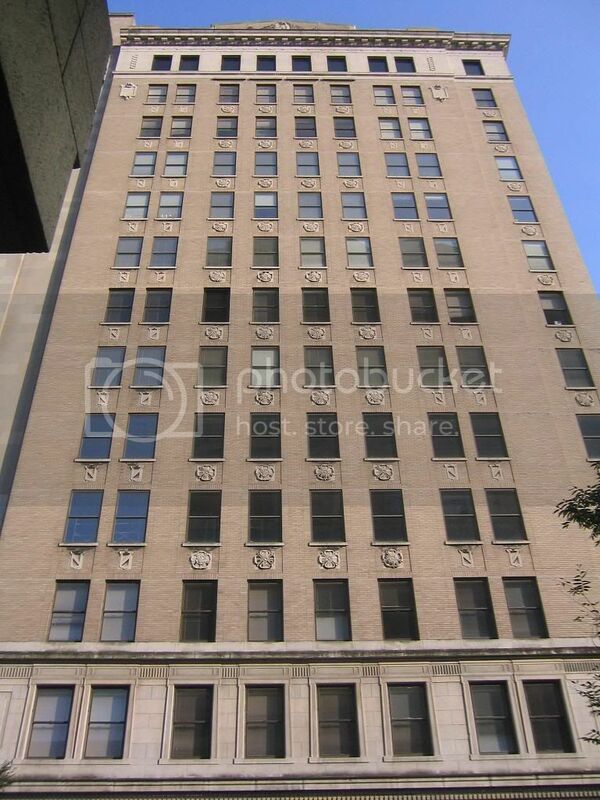 On the American Trust building, it's definitely my favorite "high-rise" downtown after a closer inspection. It's pretty sad that no one has been able to make a project work there so far. I do have faith though as I was talking with some people that were working on some creative solutions to try to make it work!!! Boy, do I agree with that. The lovely old structures that fronted around the courthouse until as recently as 1974 and the buildings stretching up the north side of Union... dreadful losses. Hey, Dave, I don't know if you ever got an answer to your question. Sadly, the building in the foreground (the Third National Bank) was demolished in the 1960s because it was BLOCKING THE VIEW of Atlanta's then-tallest building, the First National Bank. A much shorter 8-story building now sits on the site. (Take a look at First Tennessee again, http://www.emporis.com/en/wm/bu/?id=124876 , it looks like the hatchet job was done by the same folks). Do you know how large the apartments are? How big is the one you get for $975 / Mo? Thanks for posting the pictures of two of Nashville finest old buildings! Great shots! Thanks for the pics jice. I can't get enough of the Stahlman sign. "Though this be madness, yet there is method in' t". 674 sq ft. The larger one bedrooms are like 800 sq ft but go for over a grand a month I'm still waitin to hear about studios, lol... not that they'll be much better. Yeah, you really should do some "faking" it's definitely worth it!! Mr. Mathews has done quite a job there. As I said before, if you do end up getting a tour, check out the imprints on the doors of what offices were located in your potential room . $975/month in downtown Nashville. Think about it. How many cities can you get any apartment for under $1,000/month in a big city center (that's not an absolute trash hole)? You have to remember that they have to cover property taxes and all of the money for renovating the property. It would probably be cheaper to tear down the Stahlman and build a completely new building for apartments on the same lot. Let's just thank these people for not tearing this jewel down and we'll just overlook the "high" rent.